This week we had a fun time with the gritty, affable, never say die Mary Mwangi who is founder and CEO of Data Integrated, a startup straddling the small business and transportation digitization spaces. This is a great founder journey narrative peppered with useful insights and laughs. You will enjoy this one for sure. This week we had the phenomenal Claire Munene who is the Chief Revenue Officer at mSurvey sharing her corporate to startup journey. Claire spent 14 years at Safaricom after which she felt the urge to seek out a new path and ended up joining the mSurvey founders, Kenfied Griffith and Louis Majanja to build the company. This is great story packed with insights and tips for those on the corporate side considering a move to startups and also for founders looking to attract talent from the corporate side. It is also a great signal that startups are increasingly a viable career option in Silicon Savanna. This week we had the honor of hosting our first female founder and it was definitely worth the wait. Peris Bosire, CEO and cofounder at FarmDrive stopped by the Chini ya Maji studios and dropped some gems for the eco. FarmDrive is a fintech startup focussed on bringing financial services to farmers in Africa. Peris talks about her path to entrepreneurship, meeting her cofounder, and their journey so far. This will down as a landmark moment for both the podcast and the eco. Twende Kazi! This week we get some wonderful insights from a founder in an uncommon domain. 3+ years ago Thomas convinced his 4 Dr. friends to start a hospital in Embu. He breaks down their journey including all the assumptions, naiveté, and challenges they overcame to build what is now a thriving healthcare business. This will be a helpful one to many listeners. In today's episode we talk to Eric Thimba, the Co-founder and CEO of Mookh ( https://www.linkedin.com/in/eric-thimba-793a089a/ ) to learn more about their startup journey. Watch out for Part 2. 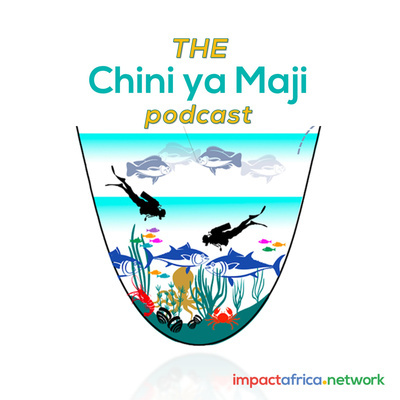 In our inaugural Chini ya Maji Founder series , we talk to Mike Kipkorir, the Co-founder and CEO of Elewa to learn more about their startup journey. We highlight the journey of building a Start-up in Silicon Savanna based on Mwaniki's experience building Easy Church. The podcast is structured around the IAN systematic entrepreneurship model. 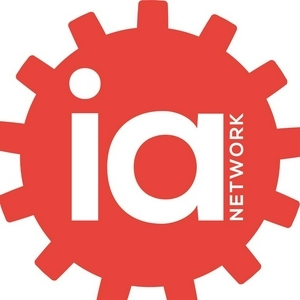 Our inaugural 2019 podcast delves into the 2018 report by IAN on local perception of accelerators. The report is based on a survey of 87 local entrepreneurs in Nairobi. Mumbi and Mark discuss the power of networks in the growth of startups and how IAN is fostering the culture of collaboration in Silicon Savannah. We discuss how 'business as usual' approaches to entrepreneurship and startups no longer apply in a technology driven world.